The internet of things can unleash cost savings, service improvements, and better customer experiences – but ensuring collection of good-quality data comes first. An area where the internet of things (IoT) can live up to its hype is the post-sales or service supply chain. Sensors and product log files can be used to track and analyze the performance of installed products ranging from computer equipment and storage devices to production machinery. IoT-enabled product monitoring provides much greater precision and granularity than traditional methods, and a more efficient service supply chain increases device productivity with a reduced spare parts inventory. The potential for companies that go down this path is to reap huge cost savings, service improvements, and a much-enhanced customer experience. Companies are understandably eager to reap these rewards — but there’s a catch. Before this revolution can move forward, both the quality and collection of performance data need to be greatly improved. Traditionally, machine-monitoring programs manage spare parts inventory largely on the basis of historical demand data. Companies use algorithms combined with simple rules of thumb to determine how many spare parts they should stock. While this was best-practice methodology prior to the IoT’s arrival, it does not deliver a high level of accuracy. Companies are prone to overstocking parts at considerable cost, and often underachieve when it comes to reducing machine or device downtime. The understocking of parts has a negative impact on service quality and customer goodwill. In other words, the post-sales supply chain is ripe for change. A recent research project at the MIT Center for Transportation & Logistics (MIT CTL) carried out in collaboration with OnProcess Technology underlines the potential for fresh approaches. MIT CTL researchers reformulated the way a leading computer manufacturer can generate spare parts forecasts. Simulated scenarios in the revised model — the first to incorporate machine-failure predictability in the service supply chain — showed a potential to reduce average inventory requirements by 5% to 7%. Inventory reductions on this scale could translate into tens of millions of dollars in cost savings. Better monitoring and forecasting methods enable companies to be more proactive when reacting to machine failures, which increases equipment uptime and hence productivity. When IoT sensor networks are introduced, dramatic improvements to service operations are within reach. Companies can construct detailed breakdowns of how specific components perform and evaluate the likelihood of failures with greater accuracy. Aligning service operations with detailed maps of parts demand patterns increases the responsiveness of service supply chains. Such gains enable companies to respond to shifting customer demand, especially in markets for high-tech products such as laptops, smartphones, servers, and medical devices. In these markets, customer expectations have increased markedly over recent years. Buyers expect warranties to cover longer periods and offer more comprehensive support. CFOs are under pressure to lower the cost to serve, even as the service supply chain has to accommodate complexities such as shorter product life cycles. Many companies have taken steps to harness the IoT in order to increase the efficiency of post-sales operations. But more work is needed in both business-to-consumer and business-to-business markets. In many businesses, the quality of data on how machines and devices in the field are performing is poor. Data collection can be haphazard and subject to buyers’ willingness to participate in monitoring systems. A key issue is that companies need to be more systematic in the way they plan and execute product monitoring and data analysis. Today, these programs are mainly designed to respond to signal failures. They do not provide a sound baseline for analyzing machine performance and, critically, predicting failures. Moreover, there is too much emphasis on the few pieces of equipment that are starting to fail, rather than the whole installed base. Rather than focusing on collecting more types of data, companies should focus on collecting the right data and improving reporting rates from devices in their installed base. Incentivizing customers to provide performance data is one way to raise data-quality standards. In addition, research is needed to improve product self-diagnosis capabilities. It is notable that the MIT CTL project with OnProcess Technology found that significant reductions in spare parts inventory are possible even though the available IoT data was limited in scope. Also, the gains were made in aggregate across a wide population of computers; a superior monitoring system would make it possible to analyze the performance of individual devices. Capturing these opportunities in machine monitoring is a strategic issue for companies. Up until now, executives have understandably focused on building out their digital platforms and improving the customer experience. The next logical step is to develop systematic product-monitoring programs that enable enterprises to better serve their customers while reducing cost-to-serve — a challenge that preoccupies most senior executives. 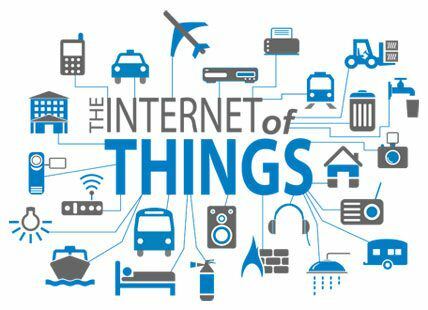 Further, IoT-connected machine monitoring is an important component of digital business transformation, which is certainly on executive team radar screens right now. Companies that fail to do the required groundwork to take advantage of the IoT-inspired revolution in product monitoring will leave substantial savings and service gains on the table. Daniel Gettens is chief analytics officer of OnProcess Technology. Francisco Jauffred and Daniel W. Steeneck are research affiliates at the MIT Center for Transportation & Logistics. © Copyright 2016. All right reserved. Designed & Developed by Ladybug.